ESKA Business Manager is an Enterprise Resource Planning System that closely integrates Financial, Supply Chain, HR, Manufacturing and more. ERP (Enterprise Resource Planning) systems are the heart and soul of today’s business corporations. An ERP system is an integrated management information system that automates and integrates all of the organization’s business functions. 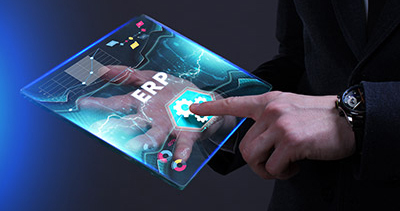 ERP systems integrate all data of all processes and resources of an organization into a unified system to manage them in a coordinated manner. ERP modules cover all the different functions and departments. Utilizing the industry’s most suitable best business practices and latest technologies, ESKDENIA Software developed ESKA® Business Manager. ESKA® Business Manager is a fully integrated web-based ERP software suite. ESKA® Business Manager is designed to help you manage your business efficiently, streamline your business operations, and retrieve up-to-date reports on all your enterprise functions. Furthermore, the system’s flexibility helps you smoothly adapt to the changing requirements of your industry. ESKA® CRM (Customer Relationship Management) system provides CRM teams with updated financial information of accounts when responding to customers and tracks resulting revenues of marketing campaigns for future reporting. ESKA® IMS [Incident Management System] manages customer claims and incidents. ESKA® Workflow and ESKA® DOCS (Document Management System) provide users of ESKA® Business Manager with supporting tools to define, automate, and manage a paperless environment. This integration also streamlines collaboration between team members. In addition, papers, forms and photos can be digitally stored and archived for easy retrieval and reduction of document loss. ESKA® Project Manager provides a flexible PMI-based framework for managing projects in different industries. ESKA® Insures, our insurance management software suite with general, health, life, travel and broker management software systems. ESKA® Academia, our education management software suite with complete systems for managing schools, universities and training centres. ESKA® Carenet, our software suite of healthcare management systems. ESKA® IDBARA, our law firm management system with a comprehensive tool to manage any legal contracts and activities.